This photograph from the windows of the Harry Ransom Center shows a coal miner from the Ruhr Valley in Germany resting next to a window after a long shift. 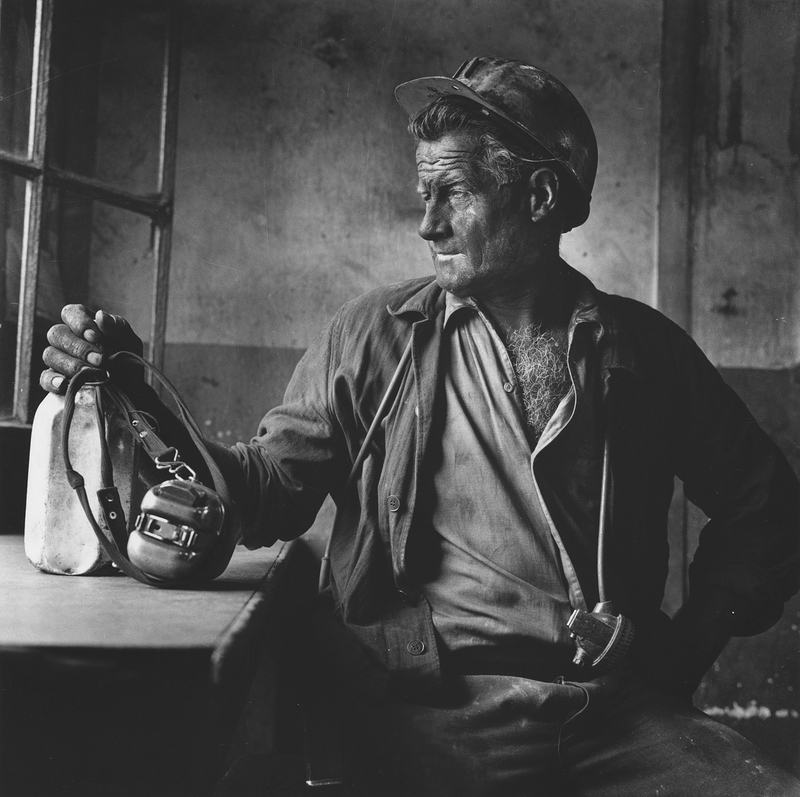 The sunlight from the window contrasts with the miner’s face and clothes, still blackened by coal dust. The white container in his hand holds a quart of cold milk, which each miner was required to drink after his shift was over. The image can be likened to Migrant Mother in the adjacent window, particularly in the expressions of rugged self-reliance and the excellent tonal reproduction on the faces. Fritz Henle was born in 1909, the son of well-to-do Jewish parents. As a teenager he showed great interest in photography and built himself a darkroom in his parents’ basement. When he applied to attend photography school at the Bavarian Institute of Photography in Munich, the faculty were so impressed by the portfolio he brought along that they allowed him to join as a second-year student. He finished the program at the top of his class. He always used Rolleiflex cameras, which generate large, high-quality negatives, and his mastery of photo composition allowed him to take well-balanced pictures of any subject. Ruhr Miner was taken late in his career. The light in the picture, apparently coming from an open window, is sufficiently diffused so that the shadows are not completely blacked out but greatly enhance the grimy atmosphere of the photo as a whole. For the best effect, this window should be viewed with as dark a background as possible. Henle himself wrote 20 books on photography. 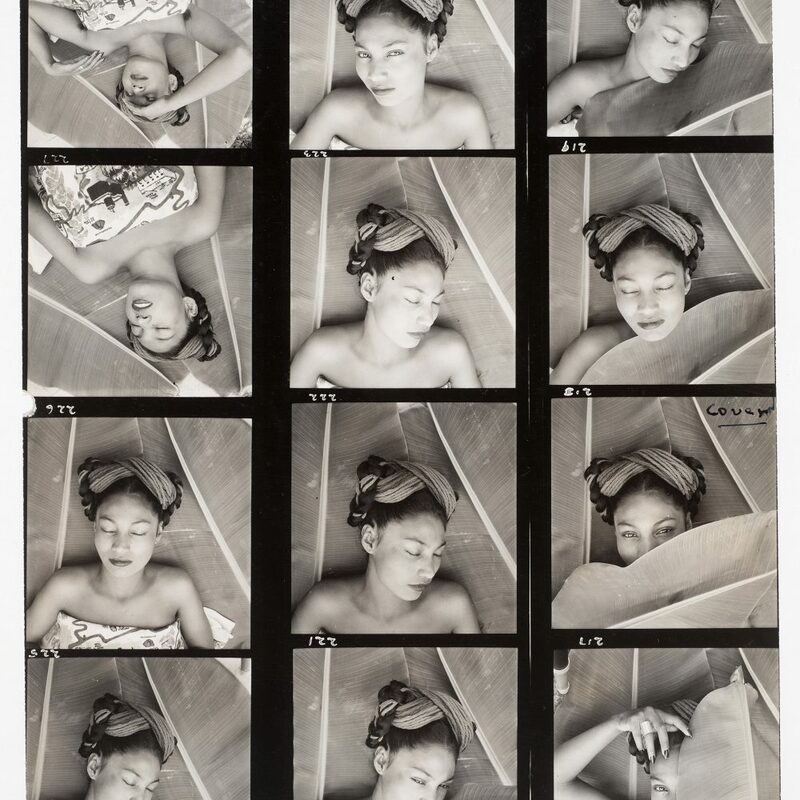 Much of the information in this description has been drawn from book Fritz Henle: In Search of Beauty by the Ransom Center’s Senior Research Curator of Photography, Roy Flukinger.